Live Creating Yourself. 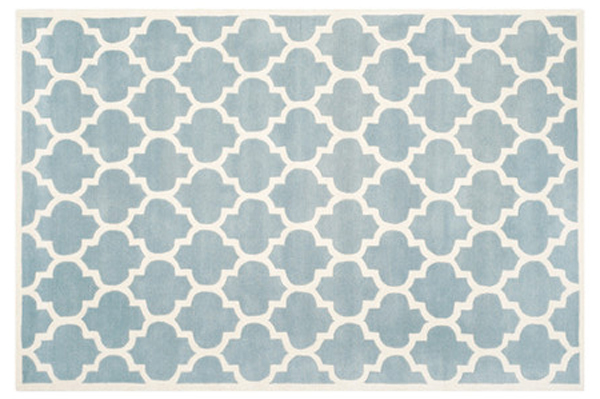 : Ladyplace: Help me choose a living room rug! I'm partial to #3 and #6! The Fairfield rug has my vote! I really like #2 but I'm partial to #6 because I currently have it in my living room!! You can kind of see it in these photos (http://kayleemichelleseifert.blogspot.com/2013/04/sneak-peek.html). It's really soft and I was so pleased with it when it arrived from Joss & Main! Good Luck choosing! I am swoooooooning over 6! For a little color, I love 3 as well! I say 3 or 4! 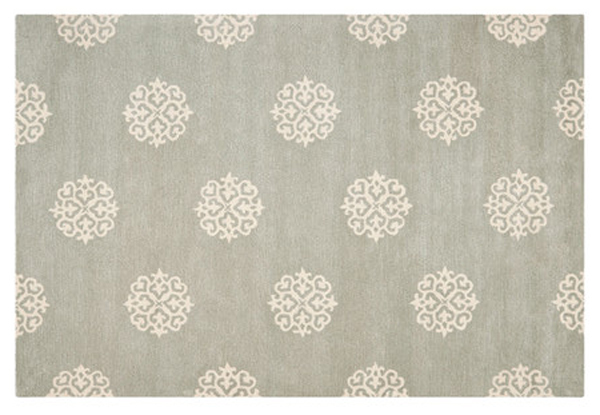 Both rugs would be so easy to style in different ways should you move again or change your furniture. I have 4, and I really like that it's neutral but adds a lot of texture. I worry about certain patterns looking trendy/dated; plus I decorate with a lot of color (walls, art, curtains, textiles, etc. ), so I appreciate that it would compliment rather than complete with those elements. I know that whatever you choose will end up making perfect sense and looking beautiful once you do your room reveal though! With what you have, I'd probably shoot for #1! It's patterned, but not too busy. It also provides an interesting color/texture while still being a neutral. I would love #2 if you had fewer patterns/colors/textures already in the room. 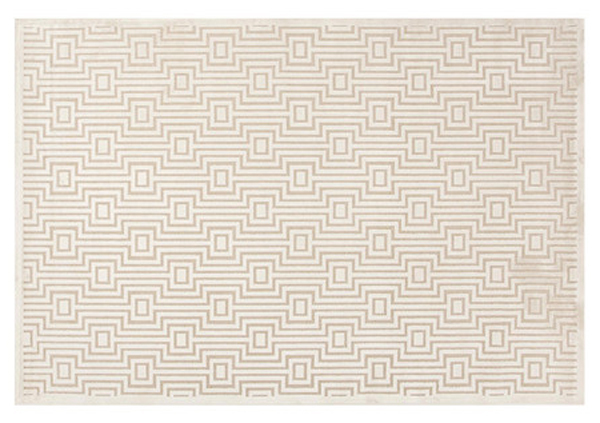 I wouldn't go for the plain jute-looking rug in this case b/c it doesn't seem to provide the depth needed for your space. Also, the texture itself is so apparent that it plays more as a pattern to the room. I think there are already enough "small" patterns in the room, whereas #1 is a large pattern, which helps balance everything. 6!! It'll lighten up the floor. I love 1,3 & 6 and how you keep it real! I love 1, 4 and 6! 1 might be too much 'grey' with the couch? But it's still my overall favourite. I like the last one. 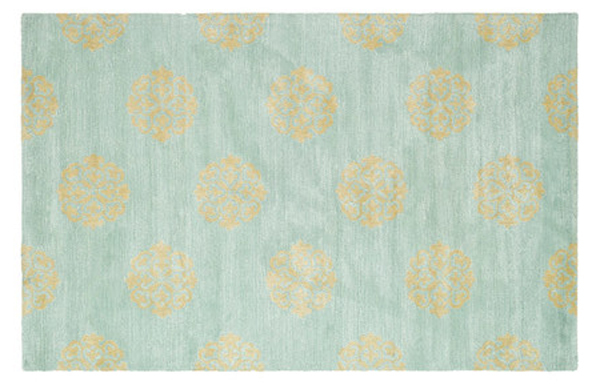 That way if you decided to change up your color scheme later, you have a rug that works with anything. Plus it seems so cozy and welcoming. Your place is looking fabulous, by the way!! if i haaaaave to chooseeee...3 or 6 are both lovely! Even though I normally love graphical prints, somehow I am loving the first one a lot! But it depends..do you plan to keep the pillows? Since I feel the first one with the current pillows will be not IT. Maybe nr 3 for the current setting. I like #5 best - the other options would look too blah with the set-up! 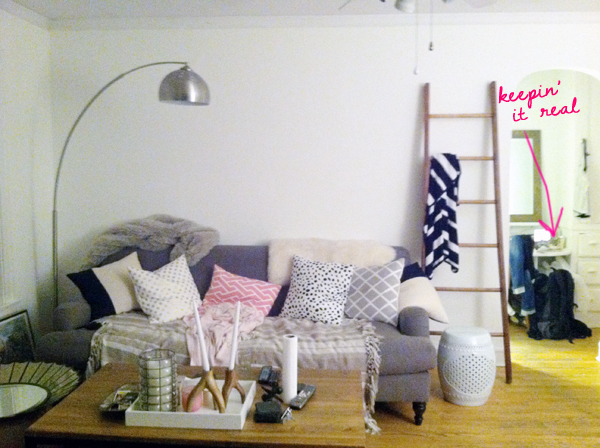 Currently setting up my own lady place - you´re a great inspiration :) Thanks for sharing! Rugs 1 and 5 are my favorites and think either would add a splash of color and visual interest without taking attention from the other aspects of the room. So excited for your chance to style your new place and really get creative! Congratulations on finding a cute place in a great area. 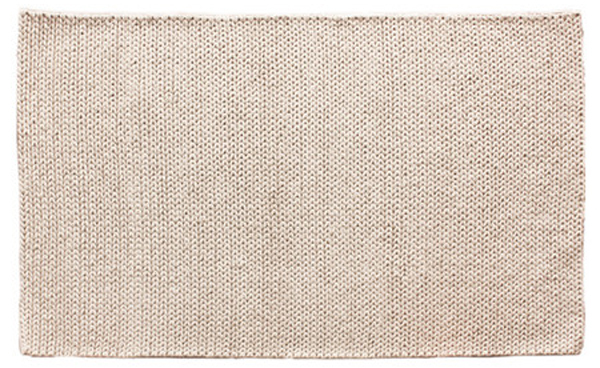 One more thing-- My husband and I bought a cream and taupe colored rug for our first apartment together. Looked beautiful and elegant in the living room. Never wore shoes inside, vacuumed daily, and didnt own pets. Never had an issue with spills, but after a year or so, it started to get a grunge look that i couldnt get rid of with vacuuming and spot cleaning. Probably couldve had it professionally cleaned but didnt wish to pay the $$ and traded it for something that wouldnt discolor over time or be overly fussy. Hope this is helpful! I like #3. 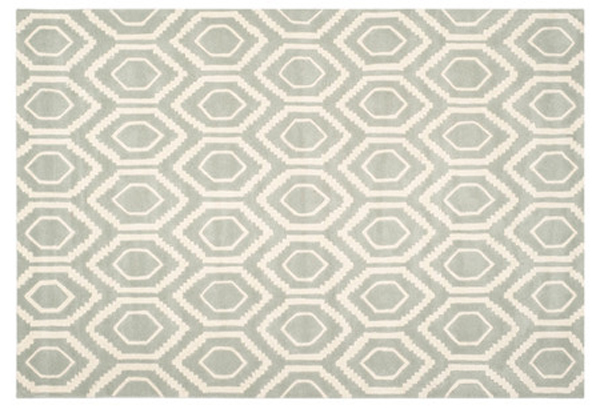 It's neutral but still has a geo pattern which could coordinate well with florals, stripes etc. I love #1, #3, and #6...Thinking #6 may be best since your couch is similar color to #1 and #2. I am so excited to watch as you decorate your lady place! I like #3 and #6!! I love the first one! Great choices, though! I say #1 or #3!